12 Feb 2019 --- The US Food and Drug Administration (FDA) is seeking to significantly “modernize” dietary supplement regulations, in an attempt to root out “bad actors” that distribute and sell dangerous products. Promised to be the most “significant modernizations” in 25 years, announced steps will seek to ensure that the US regulatory framework is flexible enough to adequately evaluate product safety while also promoting innovation, developing new enforcement strategies and engaging in a dialogue with dietary supplement stakeholders. Industry groups have responded positively to the announcement, but urge the agency to work towards more clarity on the legal path to market for hemp-derived cannabidiol (CBD) as a food and as a dietary supplement, as well as issue final New Dietary Ingredient (NDI) Guidance. As a starting point, the agency has sent 12 warning letters and five online advisory letters to companies whose dietary supplements are being illegally marketed as unapproved new drugs, bearing unproven claims to prevent, treat or cure Alzheimer’s disease, as well as some other serious health conditions, such as diabetes. In the US, manufacturers and distributors of dietary supplements are responsible for making sure their products are safe before they go to market. The FDA itself does not review dietary supplement products for safety and effectiveness before they are marketed. However, if dietary supplements contain a new ingredient, manufacturers are required to notify the FDA about that ingredient prior to marketing. The agency subsequently reviews the ingredient’s safety, but it does not authorize or approve it. 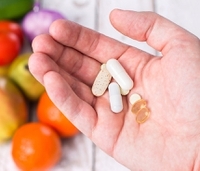 The FDA can take dietary supplements off the market if they are found to be unsafe or if the claims on the products are deemed false or misleading. He lists scientific advances and the growth of the dietary supplement industry as bringing new opportunities for consumers to improve their health. “At the same time, the growth in the number of adulterated and misbranded products – including those spiked with drug ingredients not declared on their labels, misleading claims, and other risks – creates new potential dangers,” Gottlieb says. Dietary supplements can, when substantiated, claim a number of potential benefits to consumer health, but they cannot claim to prevent, treat or cure diseases like Alzheimer’s. Such claims can harm patients by discouraging them from seeking FDA-approved medical products that have been demonstrated to be safe and effective for these medical conditions. “In recent years, we’ve taken action against companies and dietary supplements making similar claims regarding treatment of serious conditions such as cancer and opioid addiction. These enforcement actions are just one part of our overall efforts to update our policy framework governing dietary supplements,” Gottlieb explains. A significant prong in its strategy to modernize DSHEA is public dialogue with industry stakeholders. “While the FDA is committed to leveraging its existing resources and authorities to the fullest extent possible, we believe there may be value in a broader, public conversation about whether certain changes to the law might be helpful,” Gottlieb notes. “We’re interested in hearing other ideas our stakeholders may have, and not just those limited to changes to the law, so we can go about the task of regulating this space in a way that reflects where the industry is today, and continue to safeguard consumers’ ability to access safe, compliant dietary supplements for the next 25 years,” Gottlieb says. Gottlieb lists, as an example, a possible redesign of the product listing regime to protect consumers and level the playing field for responsible industry participants by making it easier for the FDA to take action against dangerous products. “We welcome additional enforcement actions to bring to justice those who would cynically trade on the halo effect of responsible industry to make a quick buck while ignoring the safety and health of consumers. We again call on Congressional appropriators to allocate to FDA the funding required to adequately police this important and growing regulatory beat and for FDA and other federal entities to follow through on tough enforcement,” says Steve Mister, President & CEO, CRN. Clarifying the legal path to market for hemp-derived CBD as a food and as a dietary supplement. “It’s clear that the agency needs mandatory recall authority so it can pull tainted supplements off shelves. And DSHEA could be further improved by requiring more meaningful product labeling, with more prominent disclaimers, warnings of drug interactions and 1-800 numbers for consumers to report adverse events to FDA,” says CSPI President Dr. Peter G. Lurie. “In the drug world, exclusivity is usually granted to incentivize manufacturers to innovate through scientific research. With the supplement industry, any ‘innovation’ is clearly in the marketing realm, and not in the scientific realm. In the absence of properly controlled research designed to establish safety and/or efficacy, exclusivity should not even be on the table,” Lurie states. There is a clear need for continued scrutiny and clarity in the dietary supplement space, evidenced by last year’s discovery that potentially harmful active pharmaceuticals continue to be identified in US over-the-counter (OTC) dietary supplements commonly marketed for sexual enhancement, weight loss or muscle building. Although the FDA’s announcement of reform will come as a welcome sign to the industry as a whole, it remains to be seen how the agency will concretely achieve more clarity, dialogue and oversight.